Stay connected to your business anywhere, anytime with INFO-Tracker™ Residential Property Management software. A turnkey management solution providing end-to-end automation that’s easy to learn and easy to use. INFO-Tracker™ Commercial Property Management software sets the standard for excellence in automation and depth of functionality for commercial, industrial and retail property management. INFO-Tracker™ Condominium Management software provides automated processes designed for day-to-day management and administration of condominium corporations. 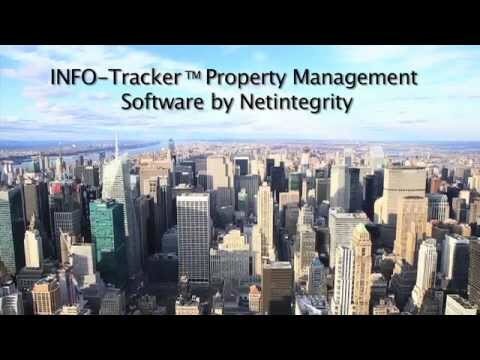 INFO-Tracker™ Non-Profit Property Management software provides integrated and automated capabilities, that allow managers to improve service, while lowering costs. Netintegrity is a leading developer of integrated property and maintenance management software. Netintegrity’s INFO-Tracker™ incorporates industry sector specific tools for both frontline staff and management, and is the solution of choice for many North American organizations, based on automated features, cost, ease-of-use and flexibility. Netintegrity delivers turnkey software and services solutions, along with training and customer support.